Last year I posted a call to artists who might be interested in donating art to the Berkeley-East Bay Humane Society for their yearly art sale fundraiser called "Purr-casso". The turn out was wonderful, artists from all over the world contributed pieces that made a huge difference to these animals lives. Well another bigger and better Purr-casso is on its way and it's going to need contributions. Here's the details. 1. 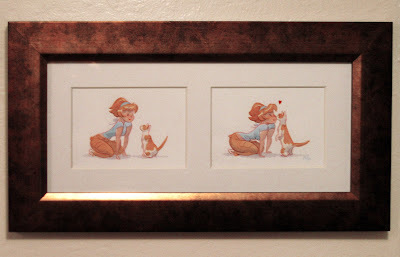 Send artwork framed, or in a manner we can easily display to the public. 2. Your art work will be stored in a safe and secured warehouse near the Hollis Street Project. The event will consist of a silent art auction in addition to a normal craft fair. There will be some great art to be had here, as long as all you artists out there are willing to contribute! Here's the piece that I contributed to last years show. This year I'm hoping to do at least a couple. Tickets have officially gone on sale for the upcoming Totoro Forest Art Auction Benefit Event to be held at Pixar on September 6th. 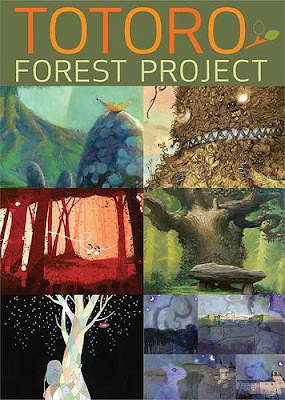 The price of each ticket includes a copy of the amazing Art of Totoro Forest Book, a $40 value. Forest Friend - $100 regular admission + book. Tickets are on sale HERE. There are a limited number of tickets so if you're interested act quickly. All proceeds will be donated to the Totoro Forest Foundation! Or re-open I should say, to include my new book "Bookplate Betties". 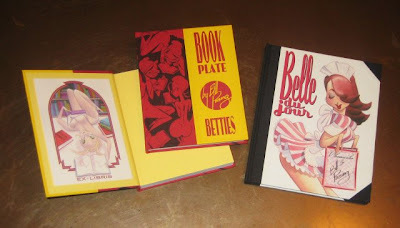 So Belle du Jour, Bookplate Betties as well as the limited edition of Bookplate Betties are all available for purchase here on the blog. You'll find the "add to cart" buttons to the right. Purchases are PayPal only. I've revamped the shop to make international shipping rate application easier. The shop seems fully functional but if you have any troubles or find a bug let me know. Con was quite the blast. Thanks to everyone who stopped by the table, I met a lot of really great people this year. Here's a couple of the commissions I did during the convention. 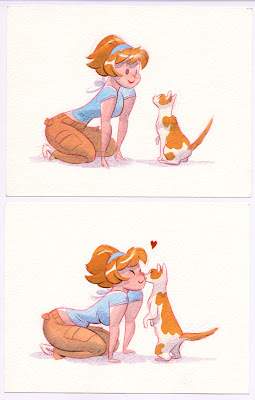 I'm hoping to get the Bookplate Betties book set up on the shop soon, so hang in there it won't be long.